The former Scotland international has spoken of his gambling problems in the past. 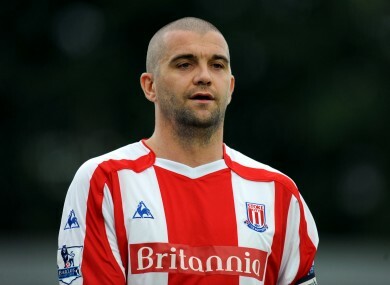 Matteo made over 100 appearances for both Leeds and Liverpool respectively, and ended his career at Stoke. FORMER LIVERPOOL AND Leeds player Dominic Matteo has been declared bankrupt after accumulating over £1million in gambling debts, it has been confirmed. An insolvency service in Yorkshire obtained an order against the former player who made over 100 appearances for Leeds and Liverpool respectively. Matteo — who opened up about his gambling problems in a 2011 autobiography — was made bankrupt on 28 July, though the news has only just come into the public domain. An Insolvency Service spokesman told the Daily Record: “The matter is at an early stage. “Mr Matteo will need to be interviewed to establish how many creditors there are and how much is due to them. Email “Former Liverpool and Leeds player declared bankrupt”. Feedback on “Former Liverpool and Leeds player declared bankrupt”.